You have a singular obsession with finding and collecting rare primary sources, with a major focus on Bavarian Illuminati material. What started you on this journey? It is somewhat reminiscent of a first-edition bibliophile, I suppose, but in a “web 2.0” setting. My preoccupation with all things Illuminati goes back many years when I heard an interview on a radio program (the particular show escapes me) with some conspiracy researcher giving the standard the Illuminati runs the world speech. I found some of his claims to be quite fantastic, but on the whole captivating and curious. Being an avid book reader, collector and amateur historian, I had to learn as much as I could to see if there was any truth to his claims. When I sat down and started searching for primary source materials, I was amazed at how little material was publically available, and that it seemed that no one else had attempted to make public all of the primary literature. In my quest for knowledge I dedicated myself to liberating as much information as could be found. My first major contribution was a full color version of EOS [Einige Originalschriften]. It was the logical choice as it was the first piece published, and because all of the books reference it, and had never been public until now. With its acquisition the trinity of Einige Originalschriften des Illuminatenordens, Nachtrag von weitern Originalschriften, and Die neuesten Arbeiten des Spartacus und Philo in dem Illuminaten-Orden was complete. This is what drove me to acquire every single piece of literature that I could. After a few years I have almost all of them now, free for all to read. This is what will lead to true understanding, about the group’s significance, role in history and effects upon philosophy and indeed society. It seems the misunderstanding derives from a language barrier, but more importantly an accessibility barrier, the later now mitigated. This has led to all sorts of ridiculous claims and speculations. My goal is to let the public decide for themselves. Nothing more, nothing less. Ya, you actually scooped the multi-million dollar scanning projects of Google et al. What University did you contact about Einige Originalschriften des Illuminatenordens, and how did the whole thing come about? The stuff you are doing is not for free, so you certainly are determined. I did a worldcat search for the book and found all of the American universities that held the work, the closest one being Duke University, in the Jantz rare book collection. I had originally planned to travel there myself and photograph the book along with 4 other primary source books, but after talking with a friend I decided that it would be much more effective in terms of time and expense to hire a graduate student researcher. The university provided a list of candidates; I selected one and had him take photos of the entire book, tables and all. It definitely was not cheap, but was necessary as no one would be able to do any research based on primary source material without this book in the public domain, as nearly all of the source books reference this book. The Illuminati letters to Benjamin Franklin and John Adams – how did that come about? This is a major discovery, and one that earned you immediate respect in the guarded ivory towers of academia. Who’s Kemtenstrauss? And how in the world did you ever get of his trail? My knowledge of the Illuminati letters to Franklin and Adams came about as a result of my conversations with a very high profile Masonic historian, Reinhard Markner. I had contacted him regarding my discovery of the original “Besser als Horus” (Better than Horus). This brochure was listed as a treatise wherein atheism and materialism are defended, on page 118 of EOS. It turns out to be a Deistical piece that attacks a literal interpretation of the Bible and the nuances of the Catholic faith. The error in description is probably due to a limited understanding of Deism, as it primarily was started in England in the 1730’s. I wanted to know more about the author of this work, and through the course of our conversations, he mentioned that Adams and Franklin had been contacted by the head of the Munich lodge Professor Baader. I wanted to know more about this and he said that the letters themselves had not been located, but were mentioned in Die Korrespondenz des Illuminatenordens on pg. 140. I did about 15 minutes of digging on the internet, and found the letter sent to Franklin listed on the website of the American Philosophical Society under the Franklin papers, in French. Through this discovery we were able to find the Adams letter, as well as Adams’ reply. De Kemtenstrauss it seems was the penname that Baader wrote under. There were three letters sent, one to Adams, one to Franklin, and one to Philadelphia, presumably to the Continental Congress, though I have been unsuccessful in locating it. I have searched the papers of the Continental Congress at the National Archives, the papers of Joseph Reed, the Governor of Pennsylvania, the papers of Samuel Huntington the President of Congress, and the Grand Lodge of Pennsylvania. This letter may be lost forever. If the aforementioned letters are any indication, we can be sure that it was identical in body to the other two, as they are nearly identical copies. I purchased copies of the physical letters, and posted them along with a transcription and translation of them. The reason Baader wrote to Adams and Franklin was that they were in Paris, serving as American envoys to France, and they wished to purchase land and protection in the Southern States. The most interesting part of the letter and the reply, is that Baader has to be assured that in America, rights are not granted to individuals, but are ‘unallienable’ to all men, even to associations – those that are law abiding, that is. Theocratic Bavaria in the decaying Holy Roman Empire, by comparison, seems like another planet. One wonders if Baader could really wrap his head around what America represented. He certainly wanted to find out! Any thoughts? Another thing, Ferdinand Maria Baader (1747-97) wasn’t just an average Illuminatus, as you are aware. He was an early initiate, on the ruling Areopagite council, the founder and Master of the important Illuminati Lodge St. Théodore du Bon Conseil, and one of the few who would later be privy to Weishaupt’s last degree Rex or Man King (Docetist). Baader certainly wanted to escape the oppressive State of Bavaria to Elysium, the name of the project for colonizing the United States. The term Elysium is indicative of his beliefs about what prospects America could bring to the Order. In Greek mythology the Elysian Plains, were the final resting places of the souls of the heroic and the virtuous in the underworld. Elysium therefore was heaven for the members of the Order, a place of physical, intellectual and spiritual freedom. It is important to note that the plan for colonization was exclusive to the lodge of St. Theodor am guten Rat, and no evidence can be found for participation by other lodges of the Order. That is not to say that the idea could not have been embraced, but the plan was only contemplated for a period of time in the year 1780. There are many reasons why the plan was not executed. 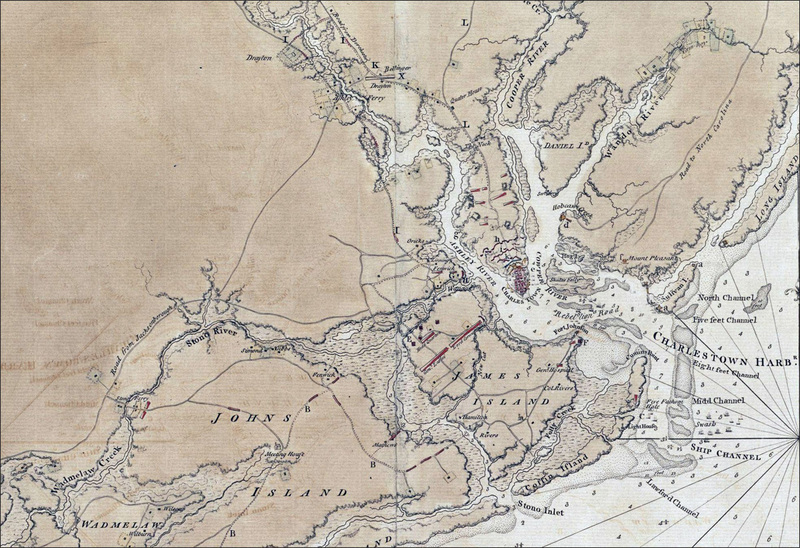 The British victory at the Battle of Charleston May 12, 1780 resulted in the occupation of the southern states until shortly after the signing of the Treaty of Paris in September of 1783. 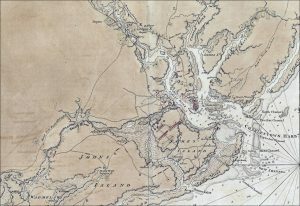 This is significant as they selected Purysburg, South Carolina, Ebenezer, Georgia directly across the Savannah River, and August Georgia further upstream as targets for colonization. This was probably due to the remote rural agrarian culture, and the inhabitants of the first two towns being founded by German speaking Salzburgers in the 1730’s. Both towns no longer exist today, and in fact were largely abandoned by the 1830’s. Ironically in both letters to Adams and Franklin, he specifically asks for a square mile of fallow land in a temperate, fertile, and healthful country. Comically the town of Purysburg was situated next to a swamp, so I don’t think fertile would be an accurate description. Also Ebenezer served as a major camp for British forces until 1783. It would seem that fate is not without humor. The largest reason for not following through is that there were no funds to carryout the dream, as is the case with most aborted plans, without regard for how lofty the ideals may be. It’s also an apt identification. From the earliest sources, the Elysian Fields were situated on the western edge of the world where the sun sets on the verge of Oceanus. Also interesting is the fact that Baader had two aliases in the Order – Celsus and Acheron. The latter refers to one of the rivers in Hades. In Greek mythology the newly departed souls were ferried across this river on their way to Elysium. You have also posted an extract and translation from Ludwig Wolfram. He too described the plan as short-lived but he seems to have been privy to more details, e.g. that they wanted to have a utopian constitution without distinction of class, that no property should exist, and the construction of a library, printing house and an educational establishment. The documents that you have uncovered do not mention these details, even in the Illuminati letters found in Markner et al. How do you account for this? I seem to remember reading somewhere (or was told) that Wolfram had utilized source material no longer extant. This is a great point. All of the primary source materials confiscated by the Bavarian Government as a result of their searches were archived and presented on demand by inquirers. Through the years several prominent researchers went through these papers, utilizing the originals in composition of texts, Wolfram being one of them. His commentary is especially useful as he was one of the last researchers to go through the papers in their entire originally assembled form. It is not surprising, that events, that happened across the ocean and were still happening, deflected the attention of enterprising minds to it, in the circles of the Illuminati. Already in 1780 is proof for this purpose before us. It was on the eventuality of an emigration, thought of clearing and settlement. “Taking there life under freedom – friendship – and truth, is the purpose of the business.” Grain – like Leinbau and a number of trades were contemplated. A utopian liberal constitution was planned; “no distinction of classes”, “no property” should exist; they wanted to “work together” and “rejoice together.” Public education buildings, a library and a printing house should be built. At present, secret societies were united as evening and strangers in a garden, at one of those, they were in attendance, the recent fighting in the new continents became the subject of the conversation, and took a lively course. Some took the English side, others that of the Americans: the latter had the upper hand. the question was discussed, if it does not correspond to a noble sentiment, to make available itself to those heroes of freedom. Immediately rallied a number – Massenhausen among them – together, and they moved to consider how it could be carried out, happy to go over the sea and help the Americans. An empty pipedream: they had no money or resources. Alone one cradled himself several months into these dreams. Finally the phantom melted away, but the pros and cons among the Illuminati had only exacerbated already torn personal disagreements. When the Third Reich came to power, Freemasonry was exterminated in every occupied country. It was propagandized as a Jewish plot to take over the world. As a result, all of the lodges in countries occupied by the Nazis were closed and their papers and effects were crated and sent to Berlin for archiving and research by the RSHA (Office of the High Command of Security Service pursuing the racial objectives of the SS through Race and Resettlement Office). At the end of the war, the Red Army captured the archives of the RSHA, and sent the files to Moscow where they remain in storage today in fond 1412, along with much of the early history of continental Freemasonry of Europe. Some of the Masonic records have been microfilmed and are available at the Holocaust museum in Washington DC, though the papers of the Illuminati are not among these. Access to this information is difficult to obtain. Other papers captured by the Polish army, have been returned to Berlin and are available in the Secret State Archive. These too lack any information on the Illuminati. In short it is difficult to ascertain what still exists today, and further research will be necessary to answer this question fully and properly. It is my intention to gain access to these papers in the near future. One of your other discoveries, mentioned above, is the pamphlet ‘Better than Horus,’ found in the raid on Zwack’s house. I know initially you were trying to find out whether its author had been an Illuminatus or perhaps a member of the German Union. What became of these inquiries? Curiously the writing was backwards and had to be deciphered before it could even be read. Regarding Better than Horus, I found a copy of the original using worldcat at the University of Göttingen. I was intrigued by the mystique of the title of this piece and had to know what it was about. It took about six weeks to get the scans of the original. While I was waiting I researched everything I could find on the piece regarding the author. Four clues presented themselves. 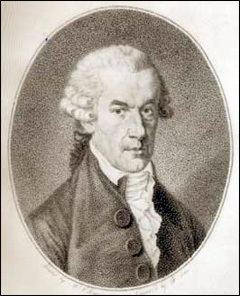 The first was a book review in 1785 in Friedrich Nicolai’s General German Library. It covered the broad themes in the brochure, but there were no clues that led to identifying the author. The second was in an apologetic piece titled “Remarks on Some Original Writings of the Illuminati” in 1787. In this piece it was argued that the author could not be Zwack because he was a lawyer, and a novice in the Order. It was also falsely argued that this piece could not be the work of a member of the Order, as they did not tolerate atheists. This is false because the piece does not defend atheism and materialism as is stated in Some Original Writings, but is actually a persuasive piece on deism, the belief in one God, and the immortality of the soul. Based on this misrepresentation, one can conclude the author did not read Better than Horus. However the point is well received that Zwack was not a likely author of the piece. The third and fourth are found in Euphorion; journal of literary history in 1913 in a biography of an author named Christian Ernst Wünsch. Wünsch wrote a piece titled “Horus or the Astro-Gnostic final judgment on the Revelation of John” in 1783. In this piece he makes that point that he believes that Jesus being the messiah of the Jews, was actually an idea taken from the Egyptians, wherein Horus born of virgin birth, is the messiah as is stated in Egyptian mythology. The title ‘Better than Horus’ therefore means ‘Better than Christ’! This is another typical antagonistic meme of militant deism. I immediately zeroed in on him being the likely author. There are problems with this hypothesis however as he was a freemason, but not a known member of the Order. That is not to say that he may not have been a member as there are 141 unknown members, but no definitive proof exists. In addition he has the right pedigree being a professor, scientist, author and deist. Furthermore, he published nothing for the year 1784, giving him opportunity right after anonymously publishing the lengthy aforementioned piece on Horus, and anonymously publishing several others thereafter mentioning Horus in the title. These later pieces were some 90 pages in length so the 30 piece is a match in depth. Wünsch admitted at the end of his life to publishing the Horus pieces but specifically which ones is unclear. Once I had received the scans of the original, I was intrigued that the entire piece was written backwards with the characters facing the correct direction, so as to have the appearance of being written in some bizarre foreign tongue. In order to read it I had to transpose the entire text by hand, which is why a copy was found in Zwack’s handwriting, as he had to do the same thing. Once transposed and translated, I was amazed to read that the piece was on deism not atheism, and that it even mentions a list of deist writers, many of whom were authors listed as suggested reading materials for initiates of the Order. Furthermore there are many layers of Horus symbolism in the Text. There is a Latin Maxim from Quintus Horatius Flaccus (Horace) another recommended author of the Order. Also on the cover of the piece there is the image of a broken column, a wheelbarrow, a stone, and a sprig of acacia. The broken column and the sprig of acacia are a freemasonic illusion to the location of the grave of Hiram Abiff. In Albert Pike’s Morals and Dogma, one learns that these symbols are actually much older and are symbolic of “Isis weeping at Byblos, over the column torn from the palace of the king, that contained the body of Osiris, while Horus, the God of Time, pours ambrosia on her hair.” Stoicism, a deistically favourable philosophy is seen praised, not to mention Zeno the founder himself is quoted. It is a very curious piece indeed! Most importantly I think the piece is encapsulated in the following quotes. “The present is the future, the possibility of the reality, and our feelings from the time of light, that illuminates in the future that is pregnant, which a wise God covers with thick night”; and “The example of prestige and authority can make fools or hypocrites: reason alone makes believers.” They speak of Masonic virtue and of deistic emphasis of reason and rationalism. You’ve managed to liberate a copy of the rare 1802 pamphlet A Full Exposition of the Clintonian Faction, and the Society of the Columbian Illuminati, by John Wood, not to mention primary material produced by the Deistical, Theophilanthropist societies in America at the time. What is your impression of this material? I’m assuming it will be central to the discussion in your forthcoming book. I was able to locate a copy of Wood’s pamphlet, A Full Exposition of the Clintonian Faction, and the Society of the Columbian Illuminati, on microfilm. It apparently was in the Jefferson papers, and I am not aware of any extant physical copies. You have identified this piece correctly as being central to my upcoming book titled “The Columbian Illuminati”. It is not the central piece of discussion, but is actually the genesis of my research. Before we begin discussing, one must consider a very important fact when analyzing this piece. John Wood was himself a Scottish radical and was forced to leave Scotland because he was found to have commissioned a set of watercolour drawings he submitted as his own work, to acquire a publicly funded position in 1797. Forced to resign and leave Scotland, he claimed to be a victim of statist persecution when he immigrated to the states. He remade himself in opposition to the radical positions he formerly held. His stint in radicalism was limited to libertine thought as popularized by the spirit of the enlightenment. Public opinion cooled to these sentiments after the true horror of the reign of terror, in the French Revolution became known. Everything had changed as a result of this. The public opinion shifted from a liberty and freedom inspired view of the cause of the revolution, to horror and disgust. Clearly Mr. Wood was no deist. I was amazed to discover that in this pamphlet the term “Columbian Illuminati” was in fact the product of Mr. Wood, and not the actual name of the society. Illuminism became synonymous with atheism, a common misnomer for deism in the English language, as a result of the efforts of Robison, Barruel, Payson and Morse, to name the most prominent figures. Wood’s opinion is curious regarding the works of Robison and Barruel. He considered their endeavours as tales and fabrications from artful men. The actual name of the society in question was the Theistical Society of New York, a society of militant deists led by Elihu Palmer. Wood states that many of the members are from the lower dregs of society. This is evidenced further when one researches their biographies, and learns that many of the key individuals named in this book are former radicals of The United Irishmen, who were also exiled. The ultimate factor limiting the expansion of the society it seems is that they arrived a generation too late. Their potential for success is further seen as questionable, when one considers that Elihu Palmer had previously wrecked an earlier society of deists called the Universal Society founded by John Fitch, inventor of the steam boat in 1790. Apparently the Universal Society was condemned as a result of public outcry when it was learned that Palmer was to give a public speech against the divinity of Jesus Christ. This occurred near the apex of republican sentiment, and yet the public even then had no palate for such things. The only connection it seems that can be found to the original Illuminati is that the members of the Theistical society seem to have copied a constitution and initiation oath directly from Robison’s book. From the research surrounding this group, a reoccurring theme presents itself. It is that though the intention of all of the literature surrounding Illuminism was written to expose the machinations of radicalism, others used them instead as guides in founding secret societies, as the only flaw in their structures it seems is their exposure. My favourite line in this pamphlet is quite apropos today. It is from the conclusion and is as follows…. The divine revelation is a right handed down from our ancestors, and delivered to our care, with the obligation of transmitting it to our posterity as the dearest of earthly inheritance. Those who maintain a different doctrine and tell Americans, that their constitution sanctions no one religion in preference to another only wish to ensnare the judgment of the unthinking and wavering citizen. The constitution of the United States, we ought thank providence, has been erected on the fundamental principles of Christianity; principles which will remain, when the names of their most violent oppressors will be buried in oblivion, when neither Clinton or his party will be heard of, and where the standard of infidelity will only be regarded as the signal of vice, treason, and rebellion. This is absolutely incredible work my friend. Thank you so much. I will be purchasing your book and inquiring deeper into Joe’s writings. Bravo! Where can we read those documents you archived ? Soviet archives are now the established resource for “truth”? Since when did the Soviets ever engage in truth? Especially when it comes to identifying whether or not Luciferianism actually infiltrated the US, you know they are going to sabotage world history on that front. Is it impossible that they are providing false documents? World history already knows the Soviet KGB were well beyond simple liars when it comes to pushing their communist agenda. They even faked their own death when the USSR collapsed.